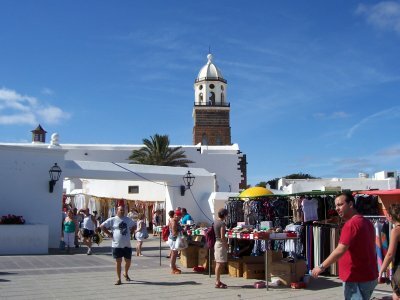 Yesterday I wrote about how I was using Twitter to follow events on Lanzarote. This morning I had in interesting Tweet for learners of Spanish on my screen. Ben Curtis twittered that he was offering 47% of ANYTHING in the Notes in Spanish store. Ben, along with his wife Marina Diez, produce podcasts for different levels of Spanish learners. The download packs in the store accompany the podcasts with transcripts, vocabulary lists and exercises. Vital resources for anyone wanting to improve their Spanish for life or just a holiday on Lanzarote. But you’ll need to hurry to take advantage of the offer, as it only lasts until midnight tonight (EST)! And to receive that discount, you’ll need the promotion code that you can find…. on Twitter!